ORIGINAL POST 11/15/18: If you live north of Seattle and throughout Snohomish County, we’re ready to make your day with some news you’ve probably been waiting to hear: We’re now selling tickets for 18 daily nonstop flights between Paine Field in Everett, Washington, and eight West Coast cities. 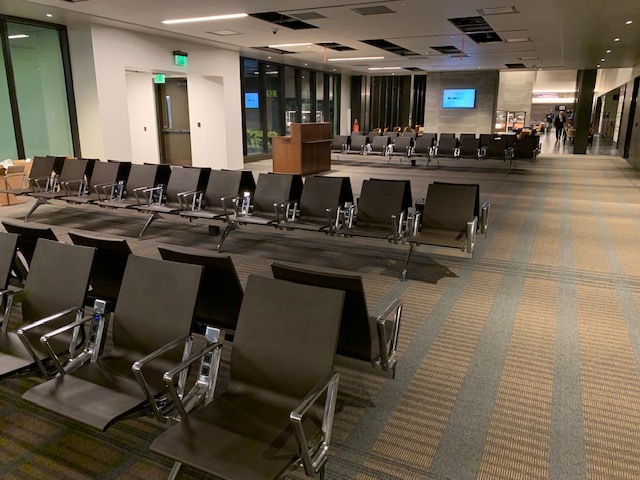 Say hello to Alaska flights at a more convenient, brand new airport terminal, and goodbye to a potentially much farther drive south to Sea-Tac Airport. The first day of scheduled service is Feb. 11, 2019, subject to government approval. The all-jet service from Paine Field will be provided by Horizon Air flying the Embraer 175 aircraft featuring first class and premium class cabins. 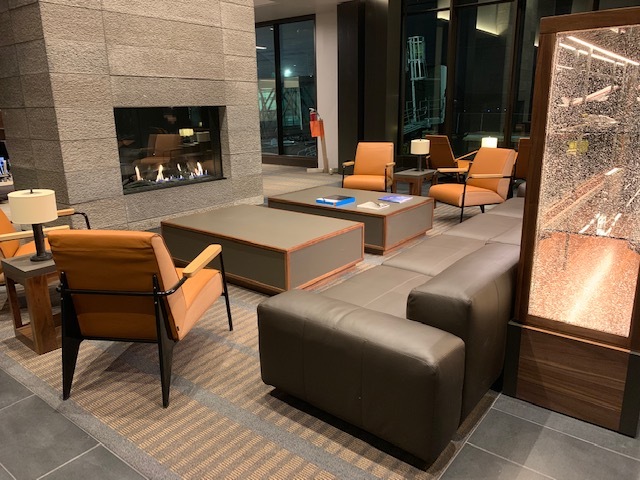 Seating near one of the fireplaces in the gate area at Paine Field. 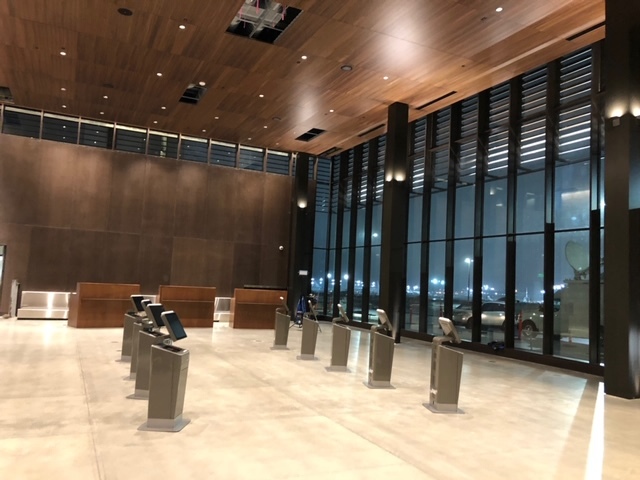 The self-service check-in area at front of Paine Field terminal. Seating in the gate area at Paine Field. We’re also excited to offer more options to our guests. We recently acquired five additional gate times at Paine Field, which would allow us to offer up to 18 daily nonstop departures in early 2019 upon receipt of required government approvals. This would mean more frequencies to several of the previously announced destinations: Las Vegas; Los Angeles; Orange County, California; Phoenix; Portland, Oregon; San Diego; San Francisco; and San Jose, California. To celebrate the start of ticket sales, we’re offering a two-day sale on fares to and from Paine Field, starting at low as $39 one-way*. 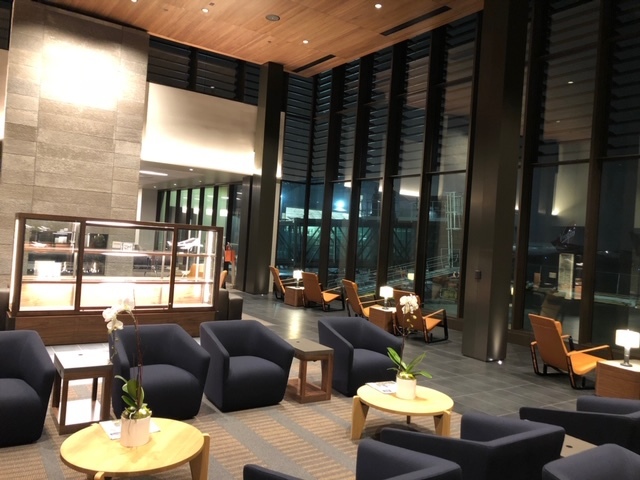 And for all nonstop flights flown to and from Paine Field through March 31, 2019, Mileage Plan members will earn double miles after they register for a special promotion**. *Fare Terms & Conditions apply. Flights subject to government approval. **Offer Terms & Conditions apply. Limited time offer. 270 comments on "Ohhh, the possibilities at Paine Field! Tickets now on sale for 18 daily departures to 8 cities"
Please add service to Spokane. 2 round trip flights a day. Morning and evening. Has the FAA approval been received. Looking to book a flight but everything I have read says FAA approval pending. When you have good round trip options this will work great. I can’t come in on Feb. 12 and leave 1 week later from San Jose ca. the only other option is staying for a month and that’s not an option. Hi Julie. Not sure i’m following you. Starting Feb. 12, there will be two round trips a day between Paine Field and San Jose. I’m showing no problems in booking on alaskaair.com. Really! Hardly any real round trip options? What is the point! Please work on getting daily city pair round trips. when will you be able to fly into Orange County Ca airport ? I think you can connect from Portland, SFO, or LAX. You’ll want a larger plane for the flight to Hawaii anyway. Any flights from Paine Field to SeaTac? For connecting flights? I would be great to avoid the traffic to SeaTac! Not at this time. Thanks for the input, James! Any chance on making Laughlin / Bullhead City Airport a destination? Laughlin/Bullhead City would he awesome! Missoula, MT please! We fly every 2 months, and they’re always packed flights. Happy to see this expansion, regardless.